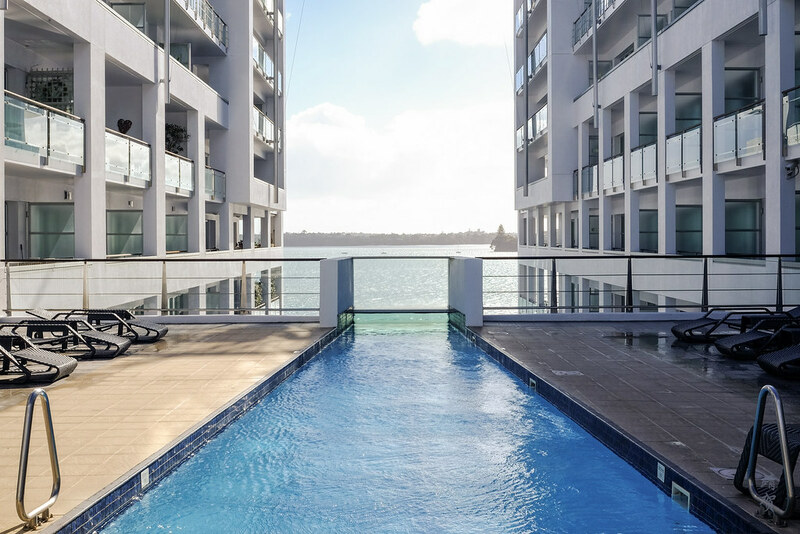 For my stay in Auckland, I was originally thinking of reserving a hotel in the downtown since there are plenty of choices available, though many of the properties are part of the Accor or IHG Hotel chains. 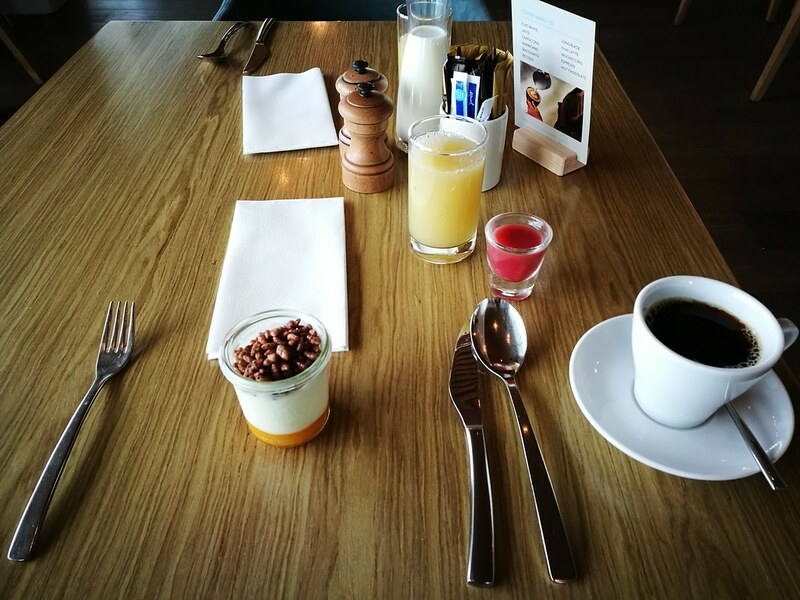 With no status on either, I went for the Hilton which is slightly pricier but my membership would give me breakfast with compliments and a room upgrade. 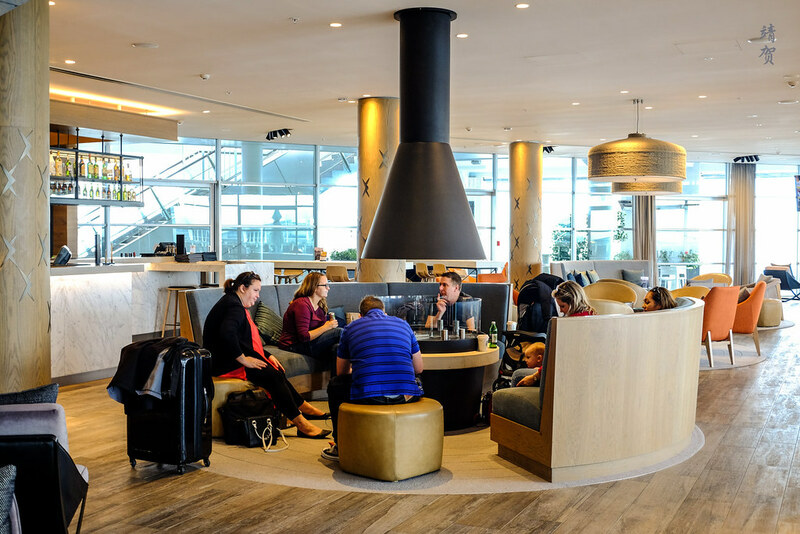 Located by the harbour, the Hilton is also convenient if travellers plan to take the ferry as the terminal is visible from the lobby. 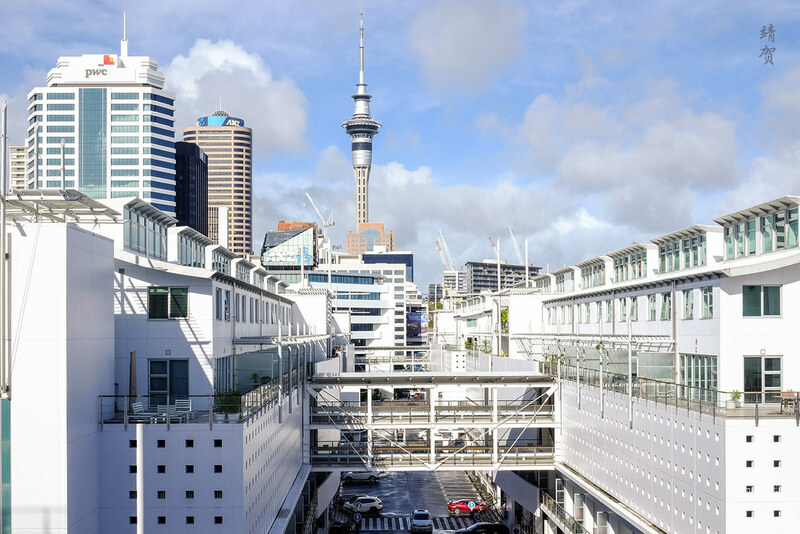 Guests staying here would most probably take a taxi as the hotel is a bit of a walk from the Britomart transit centre where the trains and buses from the airport stops at. 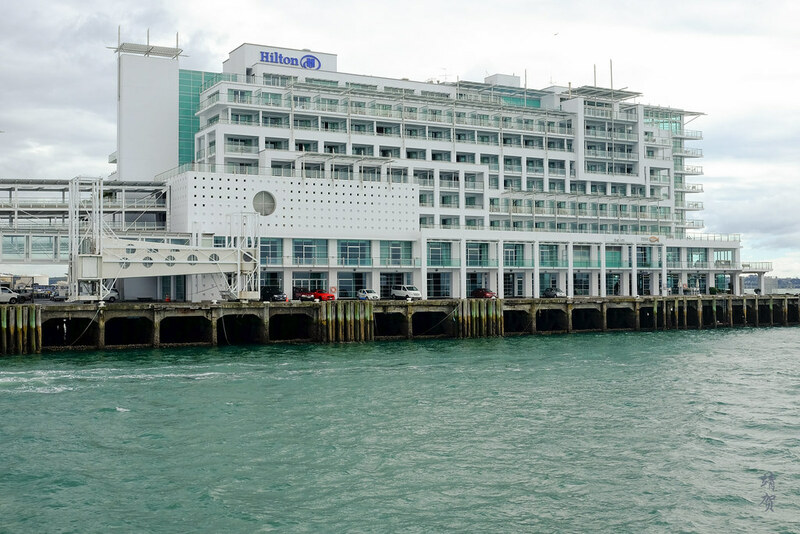 The drop off and pick up is located along the car park of this harbourfront complex where the Hilton occupies the far end. While the car park provides a grace period for drop-offs and pick-ups, it means that guests who are late to their pick-ups might be charged a parking fee. A plain exterior with only a Hilton sign is the only clue to the hotel. First impressions when driving into the hotel does not really exude the feel of a luxury hotel. Things are different once guests enter the lobby though. Which is nice since the modern glass facade provides a nice view of the waterfront and allows natural light into the busy lobby. There are plenty of seats with several arranged in a circle over a central fireplace creating a cosy space for guests staying during the winter. 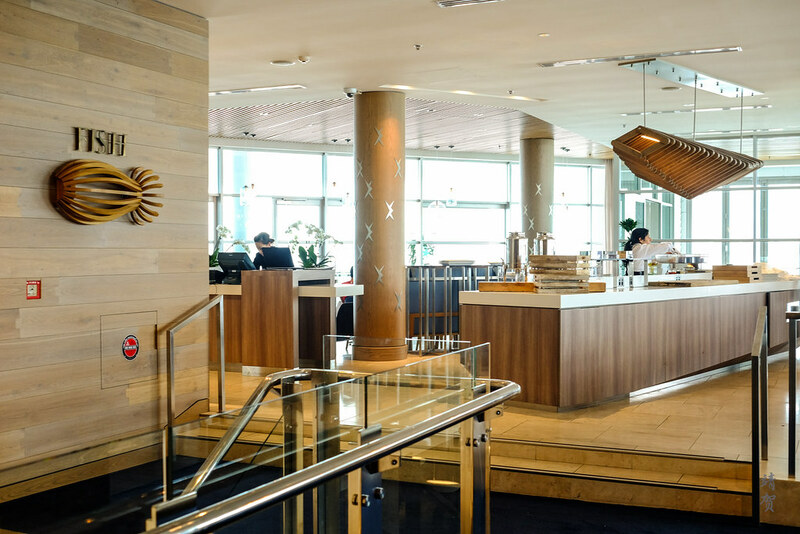 The reception desk was set just directly across the entrance with a full glass window behind that allows guests checking in to feel the waterfront location of the hotel. As I checked in that morning past 11am, the room was not ready yet and I was told to deposit my luggage and come back later. 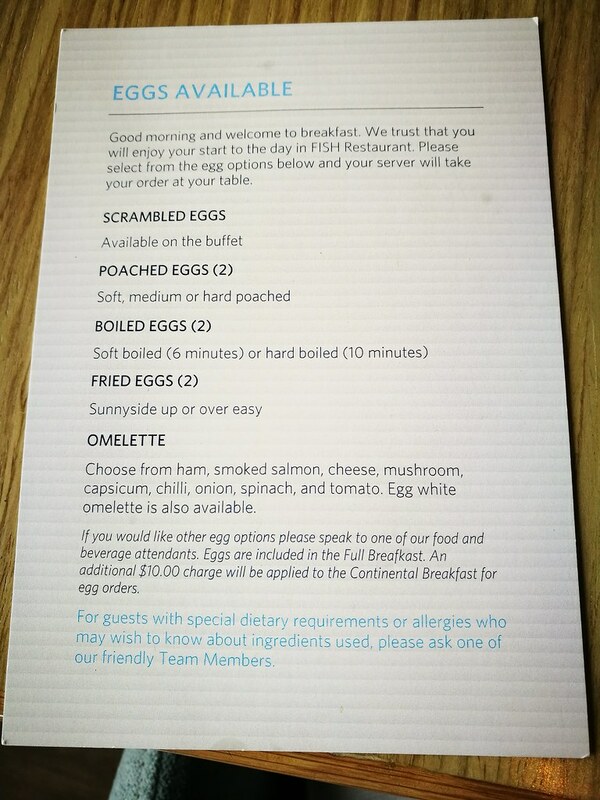 Nautical themes abound in this hotel with the main restaurant being called Fish, and also where breakfast is served at. 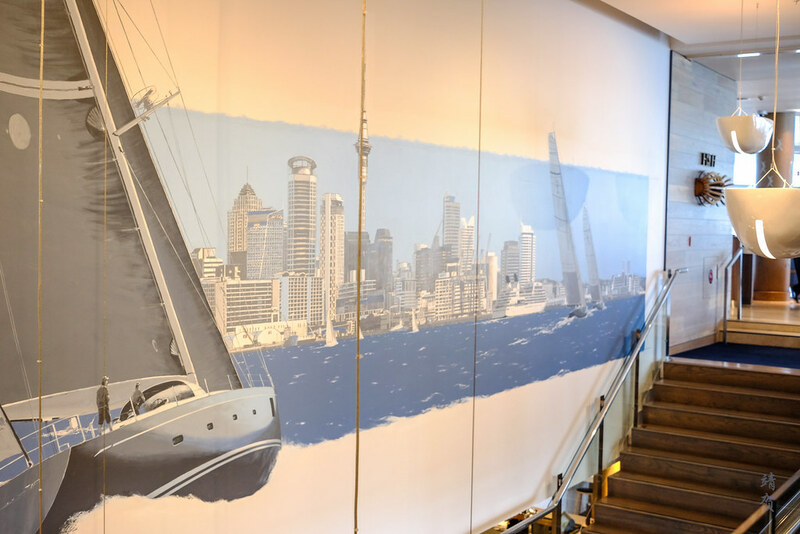 There is a cool wall motif of Auckland’s downtown with a sailboat by the staircase linking the lobby and the restaurant. Warm wood flooring and furniture along with navy blue accents add to a nice decor overall that is fitting for the location, so it was definitely better looking than its drab white exterior. After spending some time walking around downtown Auckland and having lunch in the city, we returned to get our room keys from the front desk. Despite leaving a local phone number with them, I was never contacted that the room was ready. 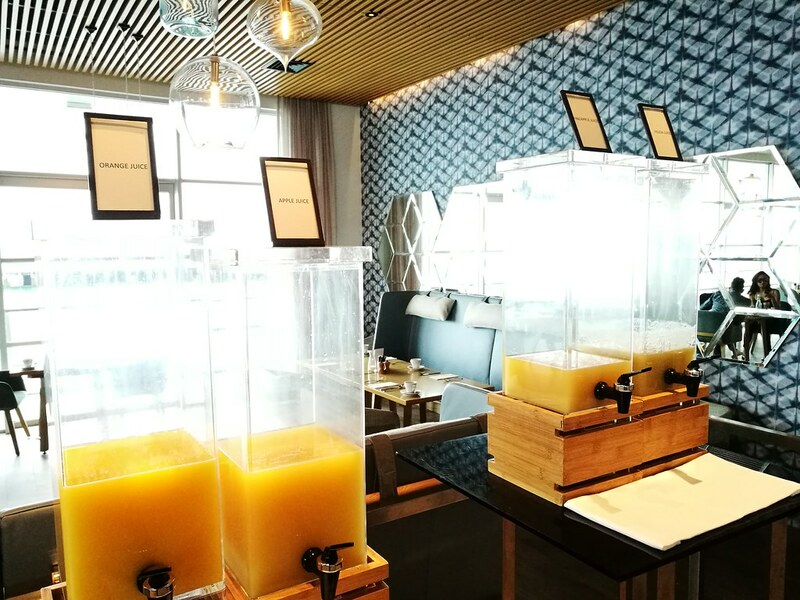 The front desk staff which has changed by the time I returned did explain to me the benefits including the free drinks that Hilton Diamond members could obtain from the lobby bar. 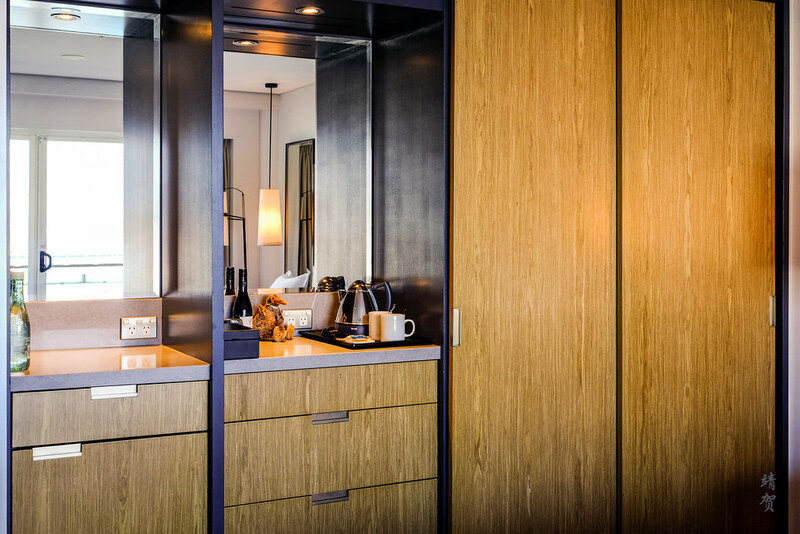 Upon entering our room, I knew that we have been provided with the harbour view rooms and the rooms are near enough to the elevators to make it convenient to get out and about. 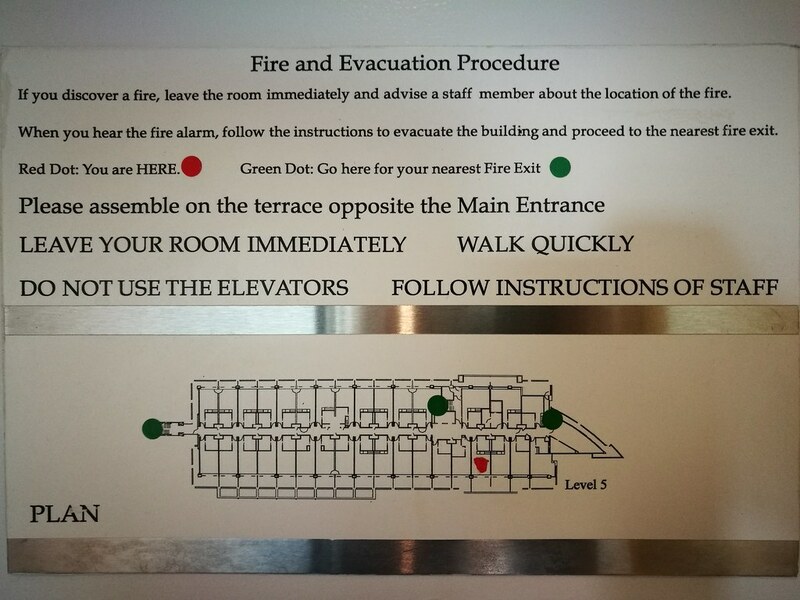 Generally I prefer rooms to be near the elevators as the noise usually is not bothersome in mid-tier to higher-end hotels like these. Inside the room has a standard hotel layout with the bathroom on the left. With dark grey tiles, the bathroom feels darker and does not feel luxurious. But at least it was spacious and has both a bathtub and a shower cubicle. This is as good as a hotel bathroom could get though I would have liked it to be a bit brighter. 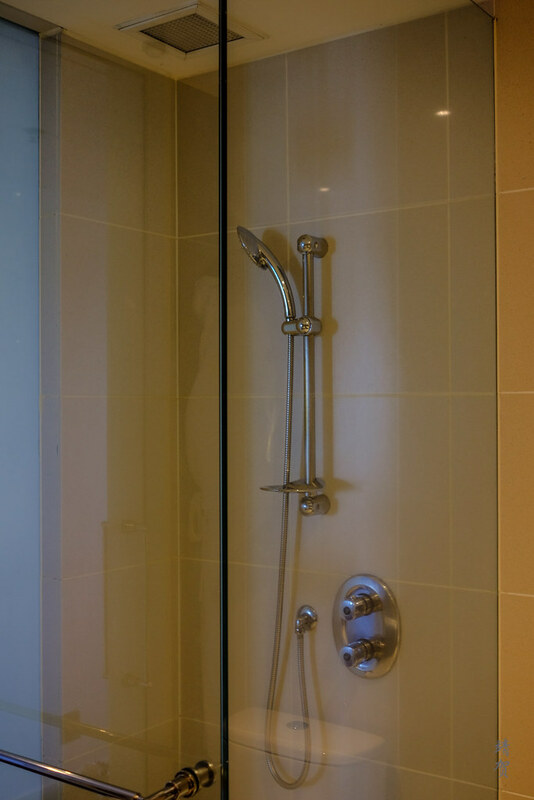 The shower cubicle has both a shower head and a rain shower on the ceiling with controls that are fairly easy to use. However a larger stall size would definitely make it more comfortable for the larger size guests. 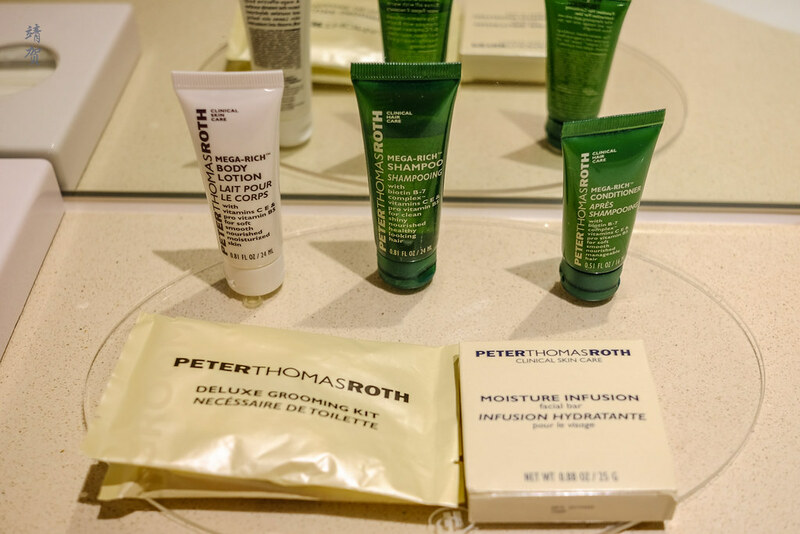 Standard bath amenities by Peter Thomas Roth was provided in the bathroom though I am ambivalent towards this particular brand. 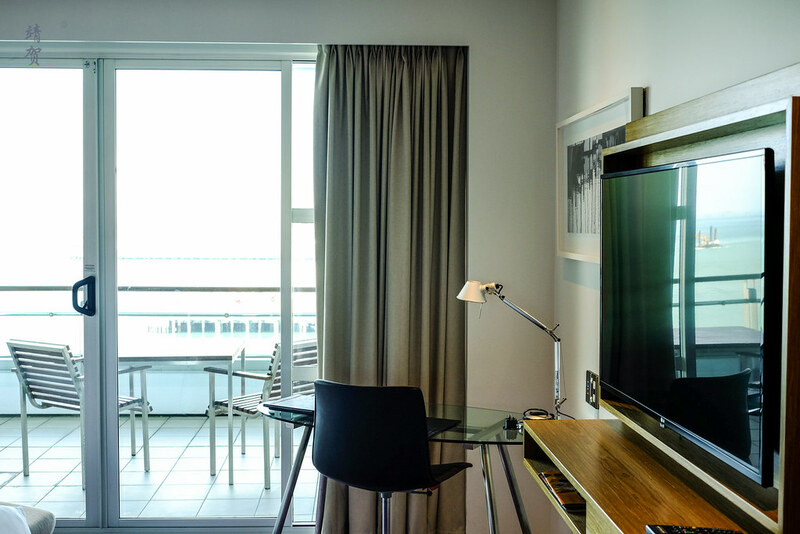 The bedroom has a modern furnishing and was brighter than the bathroom due to the full ceiling to floor glass windows that overlooks the harbour. In the middle of the room was a King-sized bed that was comfortable though a bit on the soft side. They were comfortable and on par with most Sheratons that I have stayed in. 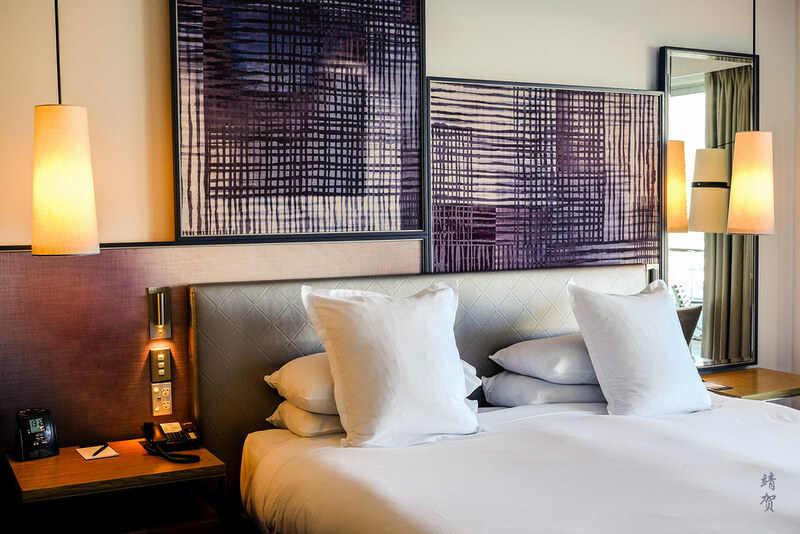 With several power plugs and light switches on the side of the bed, it feels up to date for travellers that brings their gadgets with them. 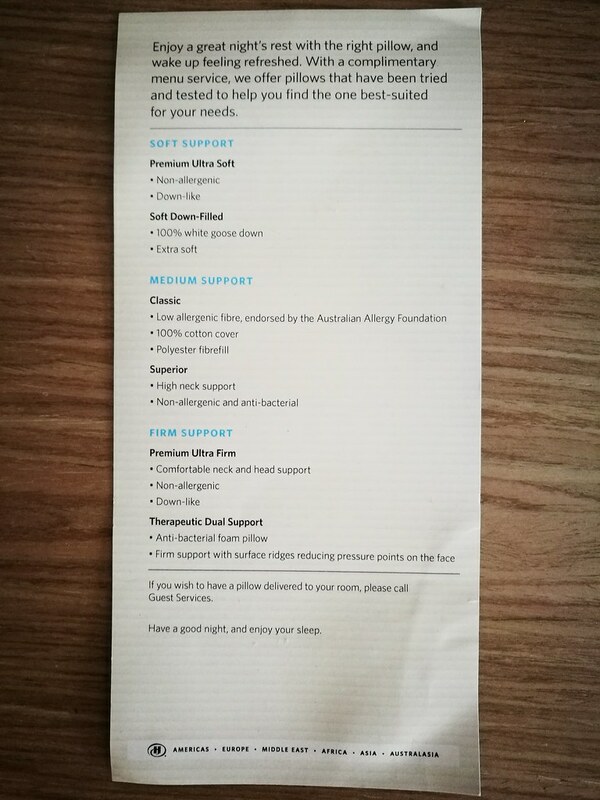 There is also a pillow menu to ensure a good nights’ sleep for all of their guests and it was easy to ask for the pillow of your choice from the housekeeping staff. 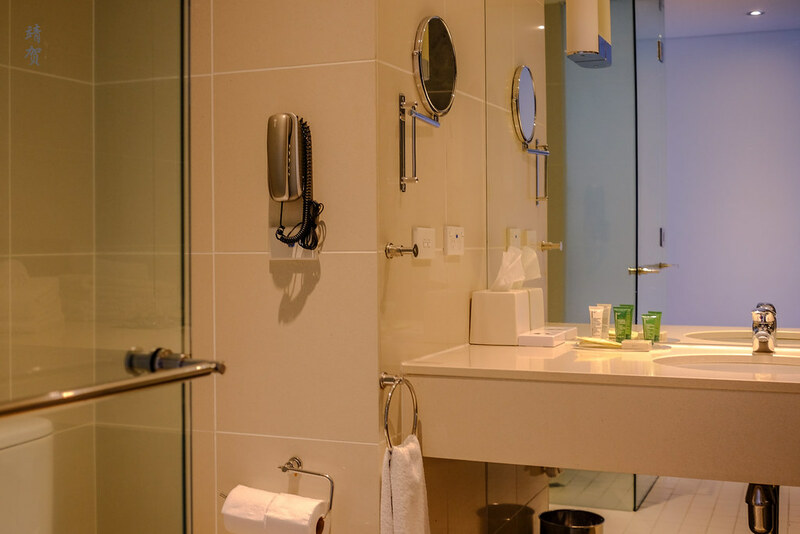 By the wall that separates the bathroom, there is the minibar and the closet space. More power plugs located here provides more space to charge any gadgets since the countertop makes it convenient as a storage space too! 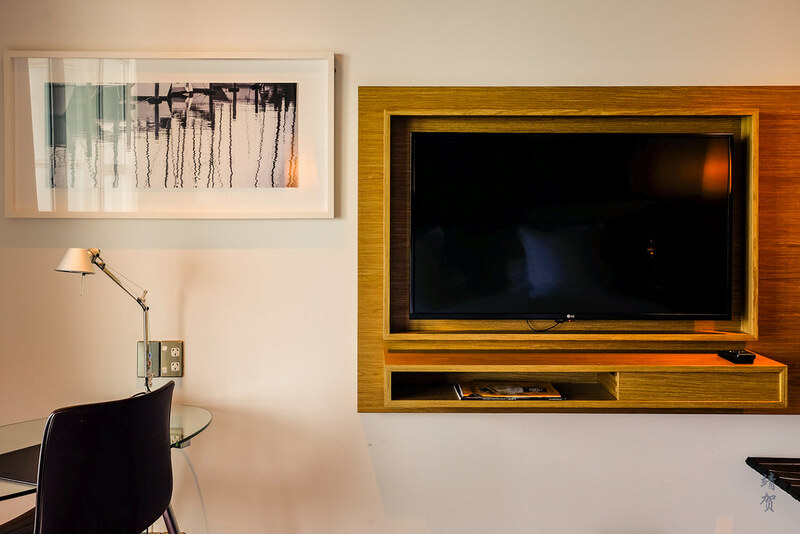 Across from the bed is a wall mounted flatscreen TV with a floating thin console where the TV guides, magazines and remote control was placed at. There is a glass desk with a standard work chair beside the TV console. Again, the power plugs are located beside the table making it easy to connect your laptop while working. 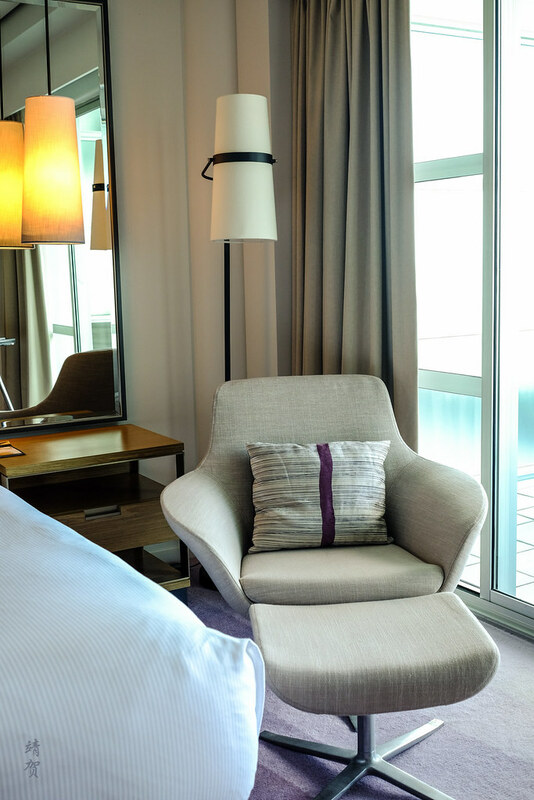 On the other side of the bed by the window lies a comfortable armchair for lounging. The whole decor of the bedroom was better and feels more like a luxury hotel rather than the drab looking bathroom. 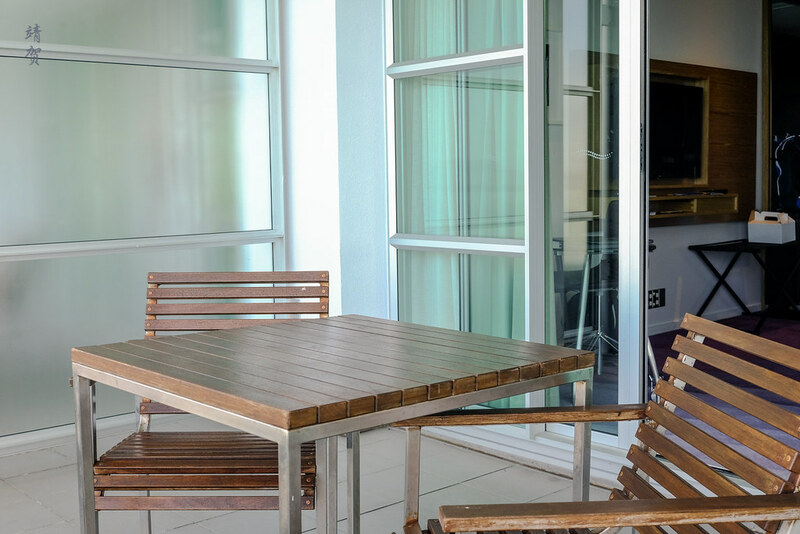 Though the best feature of the room has got to be the balcony space outside accessed by the glass doors. 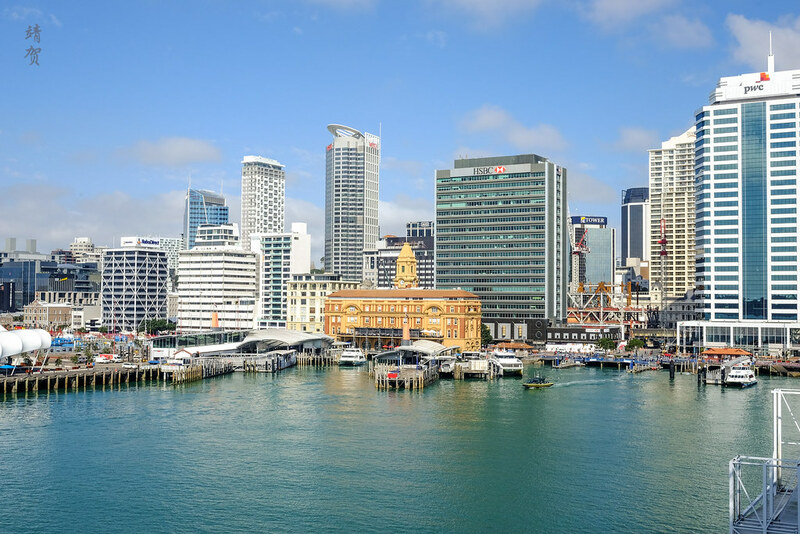 There was 2 wooden deck chairs with a table and a splendid view of the harbour and downtown Auckland. It is easy to spend the evening sipping wine here and watch the ferries enter and leave the harbour as the city lights turn on. 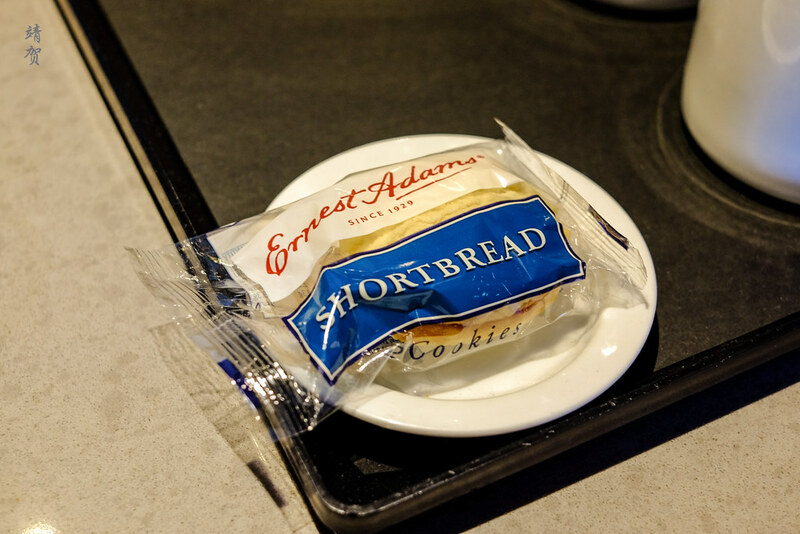 Shortbread cookies was provided by the minibar as a welcome treat for guests. 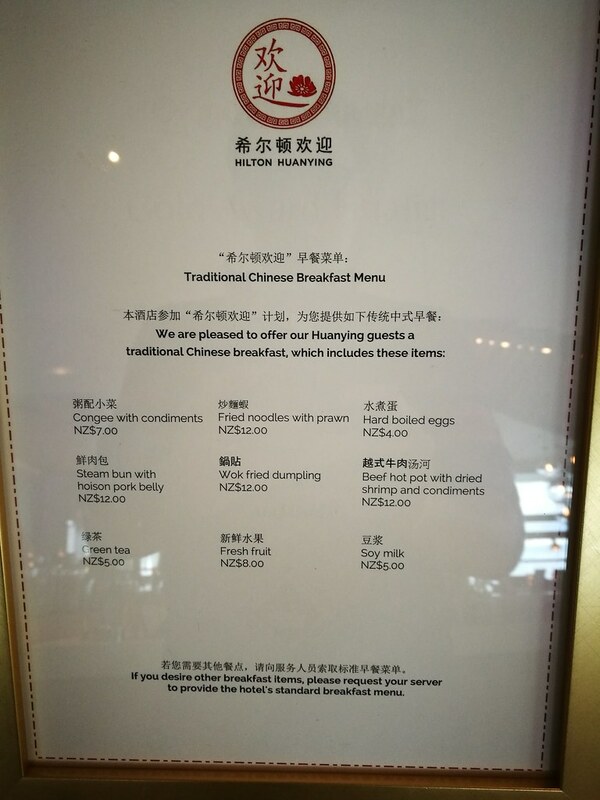 This was a nice gesture and something different from the standard fruit plate. 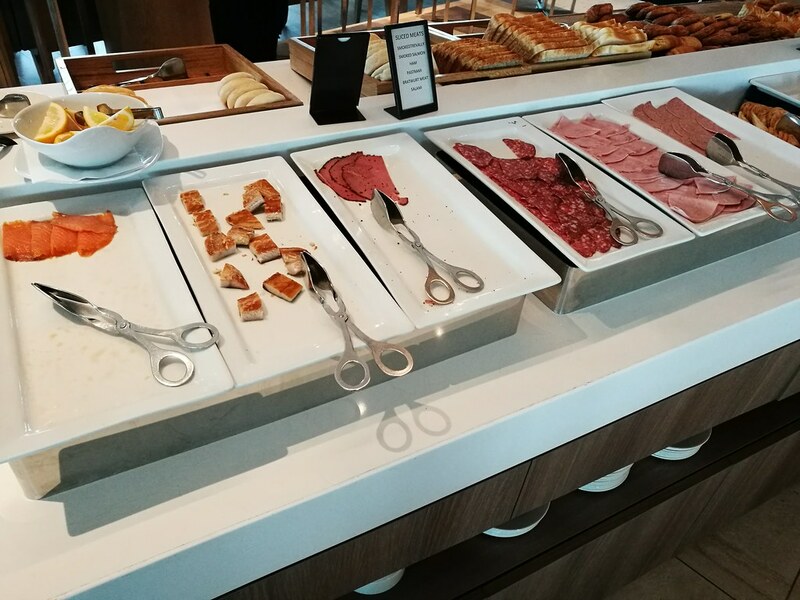 A full breakfast buffet was served at the Fish Restaurant on the second floor above the lobby. 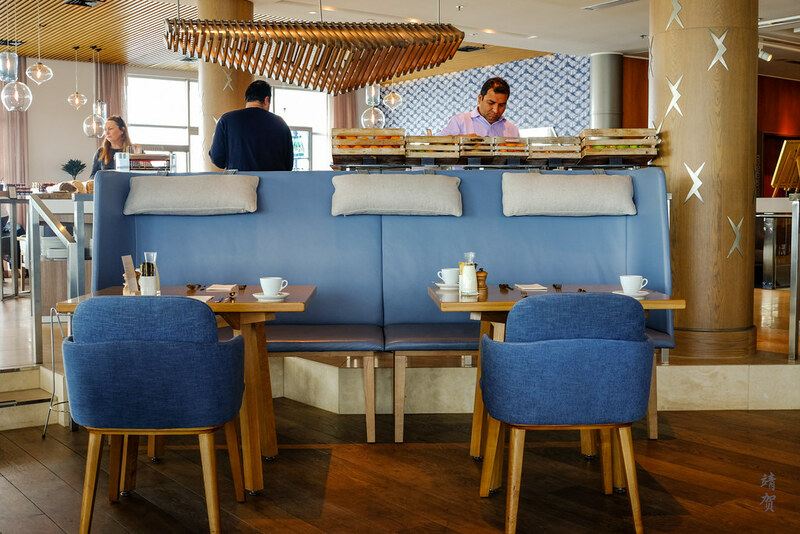 The restaurant has a smart decor with clean blue colours that ties in with the overall nautical theme of the hotel. 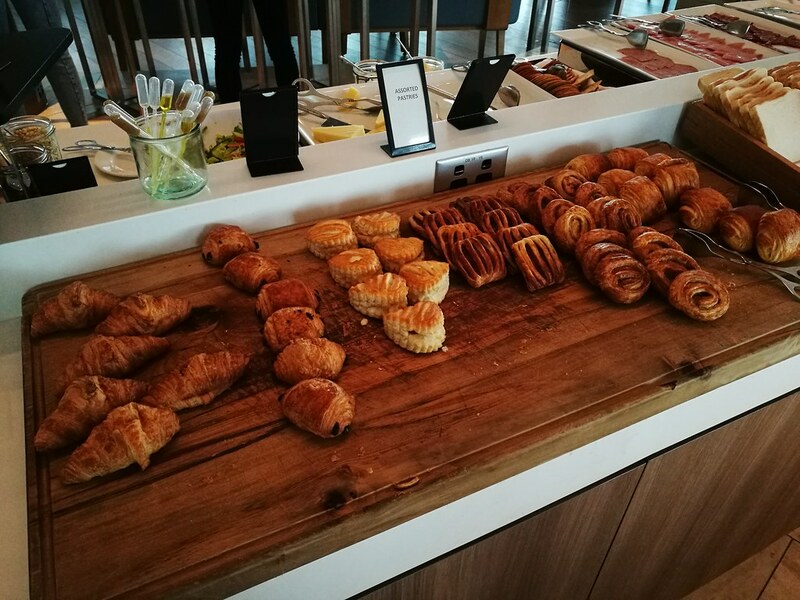 The breakfast buffet consists of the usual choice of cereals, cold cuts and cheese. 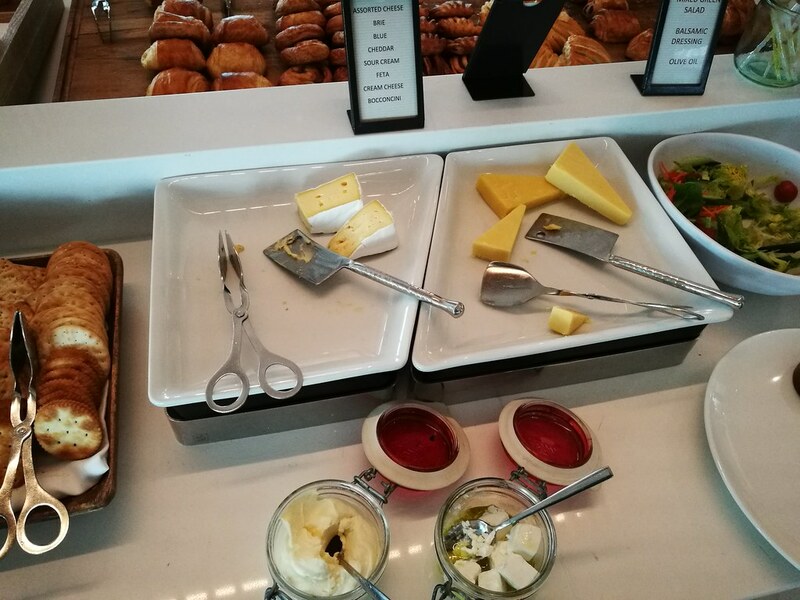 Though I was slightly disappointed with the small cheese selection as I thought a dairy producing country like New Zealand should have more variety of local cheese available. 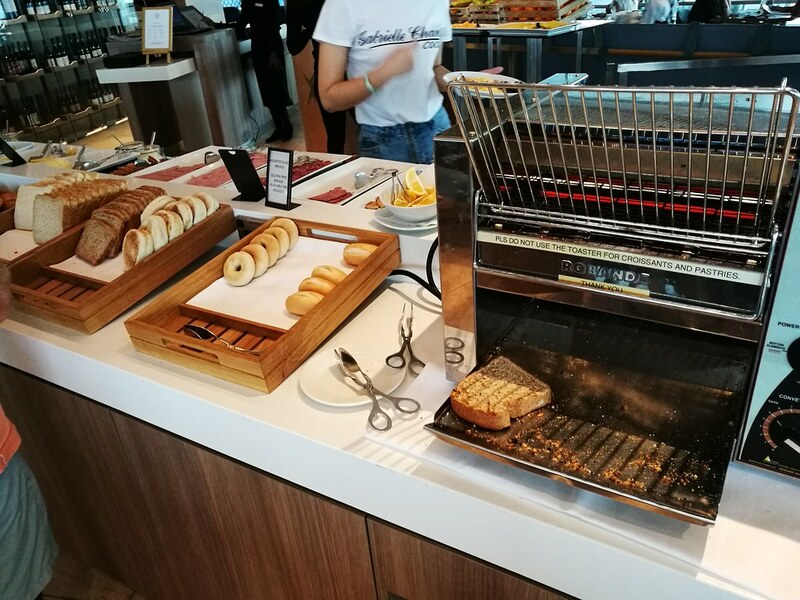 The main buffet table also has a good variety of croissant, pastries and bread with a toaster. 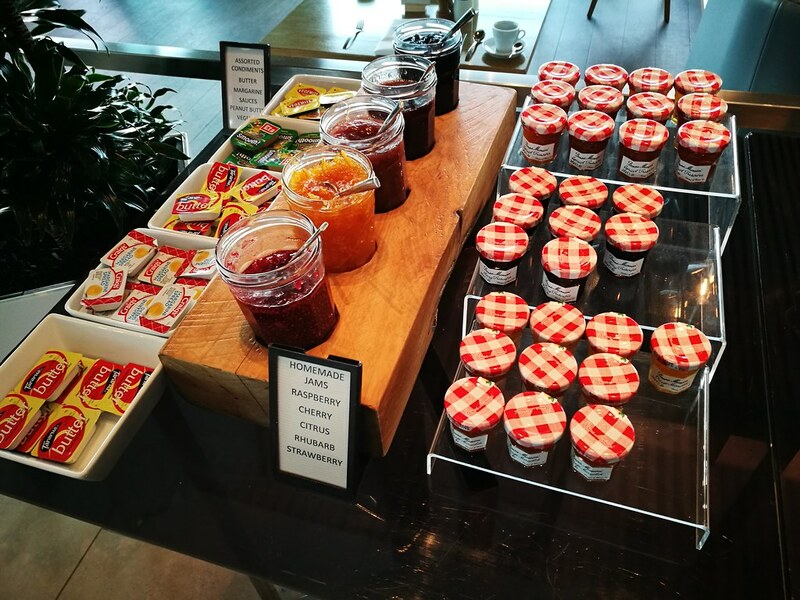 There was even homemade jams to go along with your toast or the usual butter, margarine and Vegemite (since it is in Australia/New Zealand). 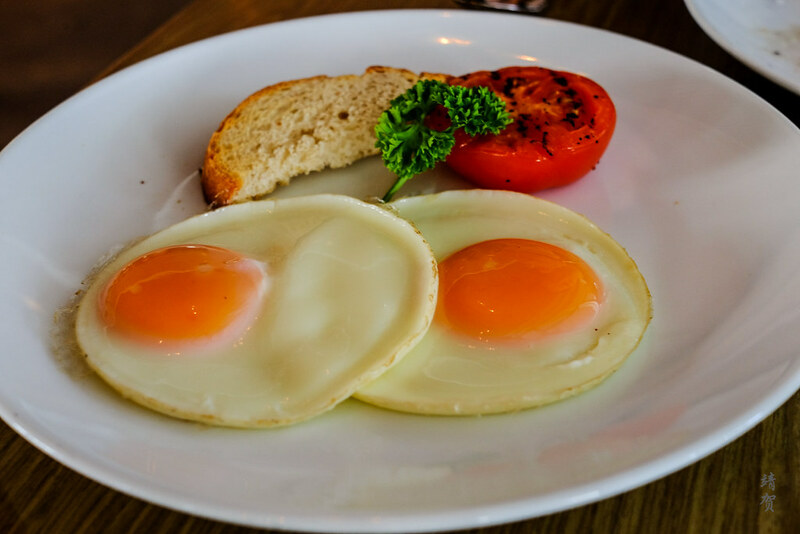 For hot food choices, Hilton Diamond members get the full breakfast and thus could order eggs cooked to their preference. 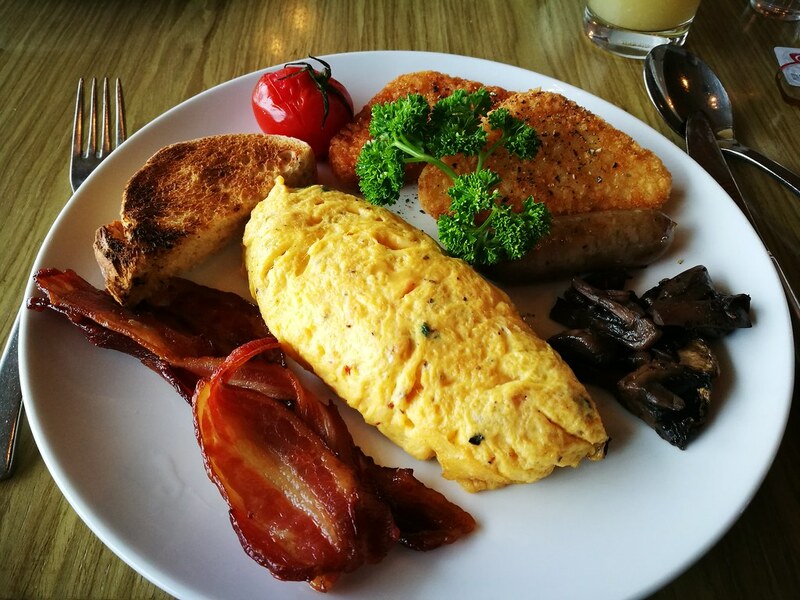 From the buffet, there was hash browns, tomatoes, bacon, sausages and baked beans. 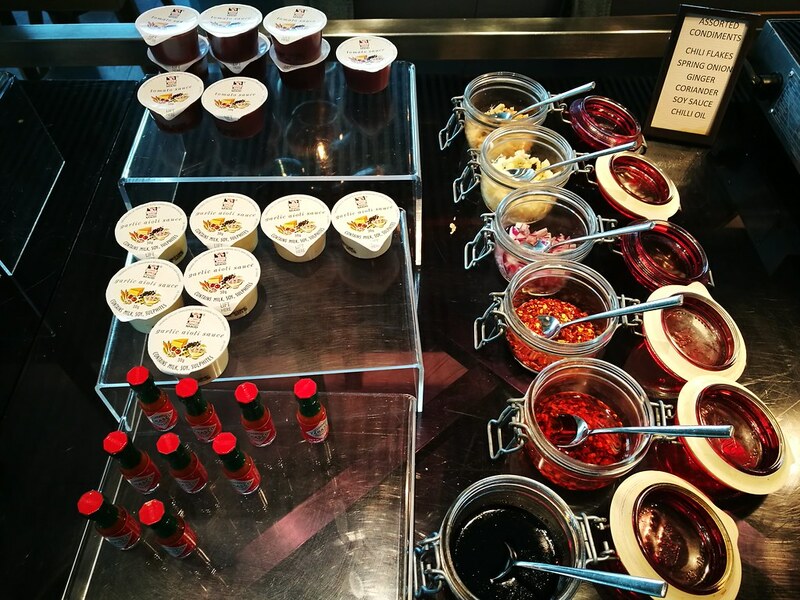 And to make up for the fact that the hash browns was not as good as the one I had in the Doubletree, there was at least a variety of dips, toppings and condiments that I could add to my hot food to make it more appetizing. 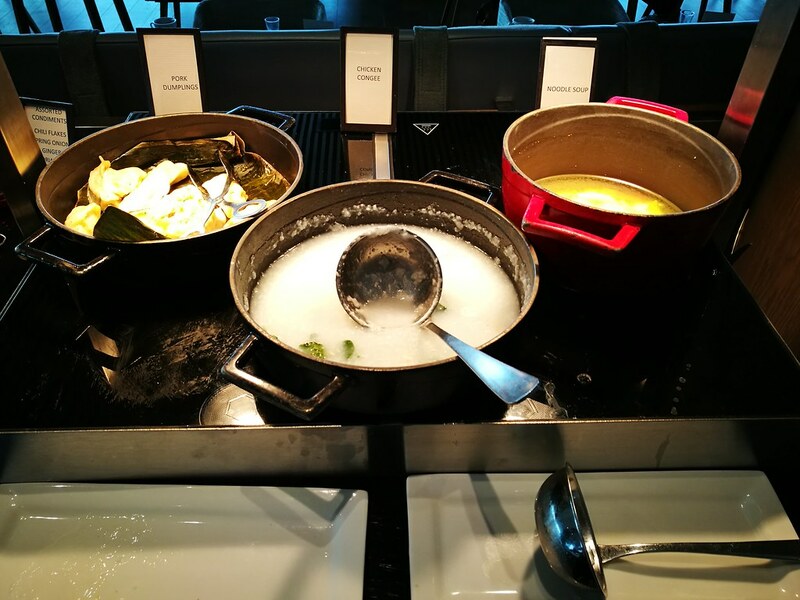 Hilton is marketing itself as the hotels for Asian tourists and thus there was dishes like pork dumplings, congee and noodle soup on the buffet as well. 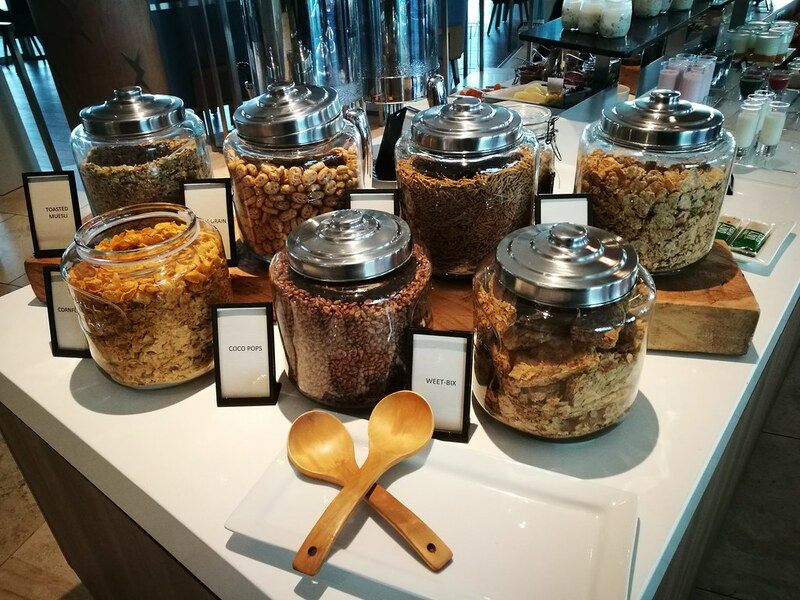 Like my stay in Doubletree Queenstown, specialty coffees like Latte, Mocha or Espresso is chargeable though brewed coffee and tea from the pot is served with compliments. Other beverages available includes milk, orange, apple, pineapple and feijoa juice. 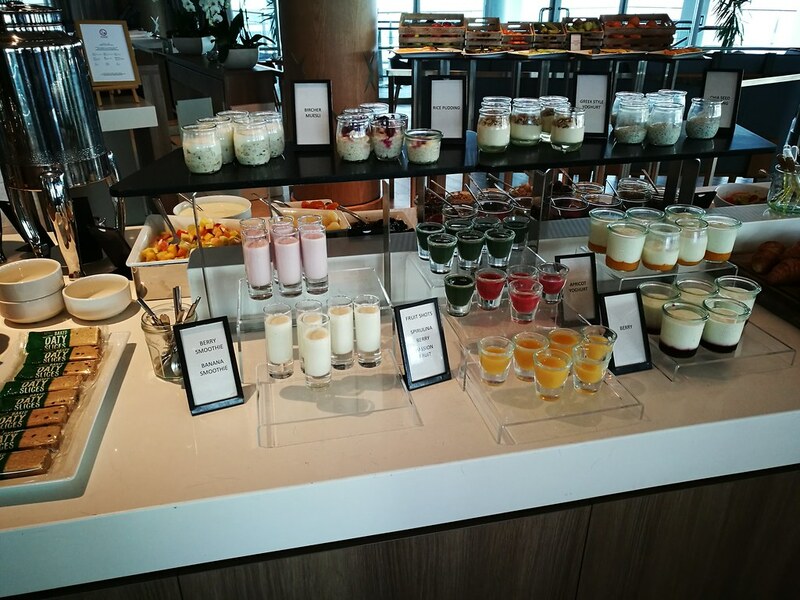 There was also healthy shooters and smoothies by the cups placed beside the yoghurts and granola mix. 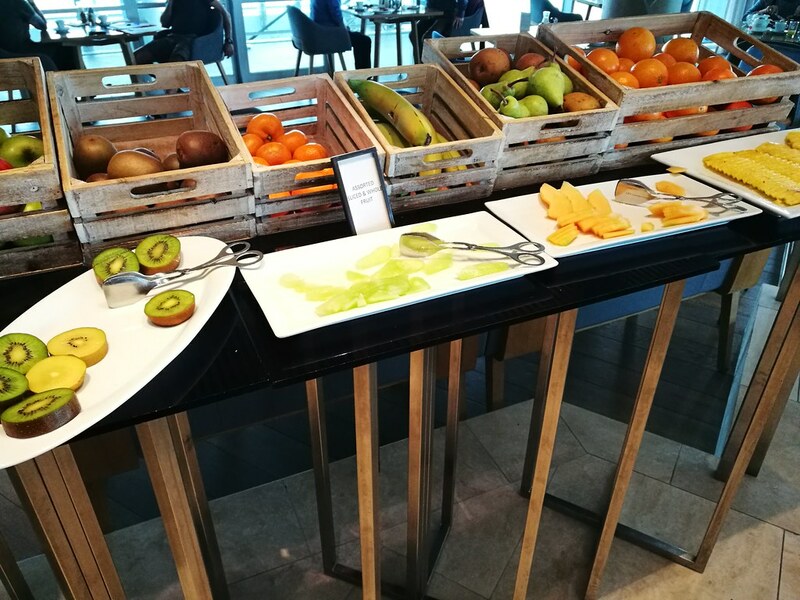 As I usually enjoy having fruits during breakfast, it was nice to know there was a good variety of fresh whole fruits and cut fruits that guests could help themselves too. 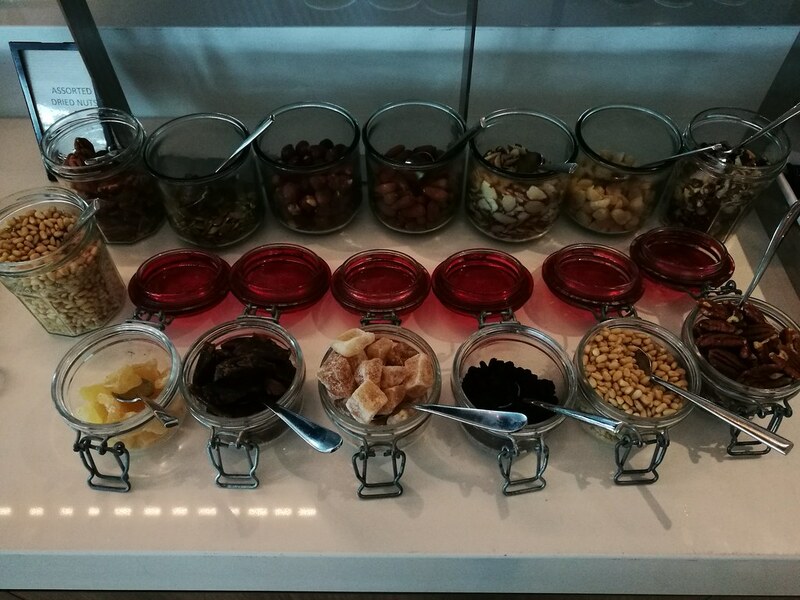 This was in addition to fruit cocktails to add to your yoghurt and a choice of mixed nuts and dried fruits one could snack on. 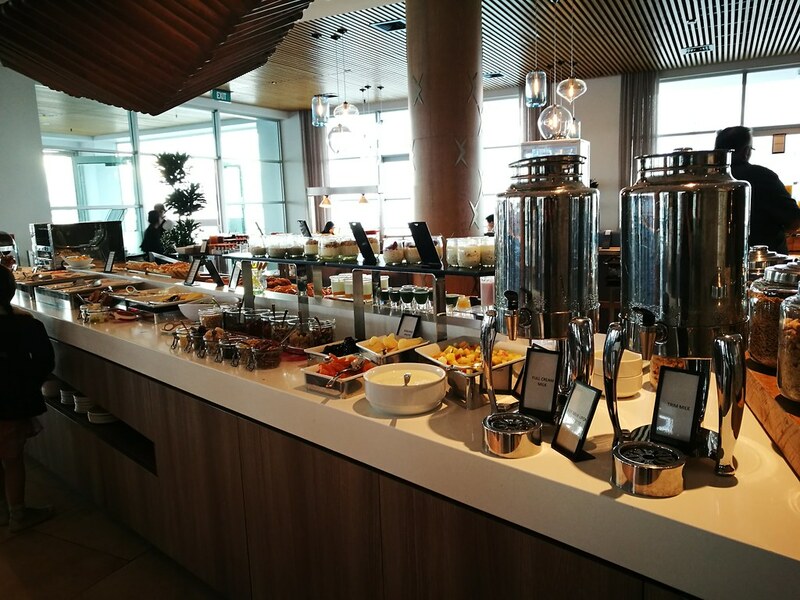 On the whole, the breakfast selection was adequate for a city hotel of this calibre though I have to say the quality of the food was better in the Doubletree Queenstown. 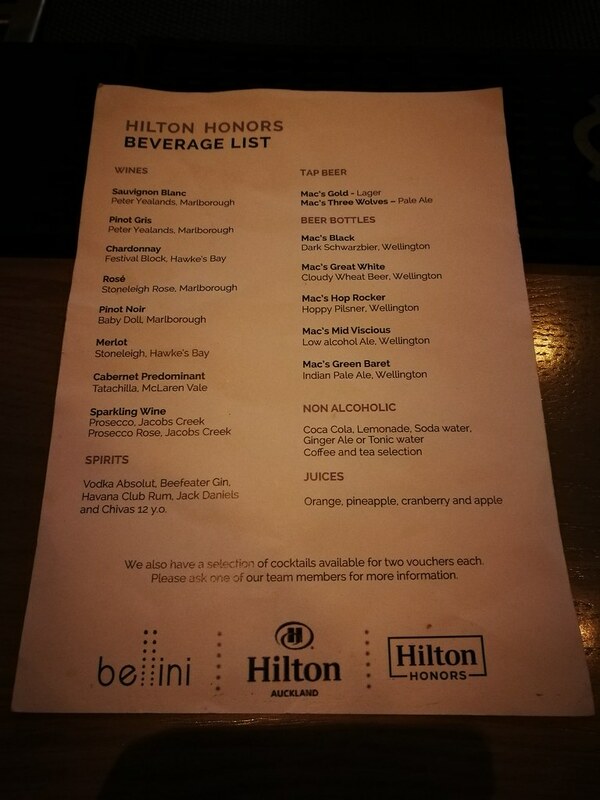 Since the hotel lacks a club lounge, Hilton Diamond members could get 2 drinks every night of their stay from the bar. There was a beverage menu guests could order from and it was a nice comprehensive list, including several wine choices, beer from the tap or by the bottle, some liquors and the usual non-alcoholic soft drinks. As the hotel is not large by any means, it was nice to see an outdoor lap pool which is accessed via the fitness centre. 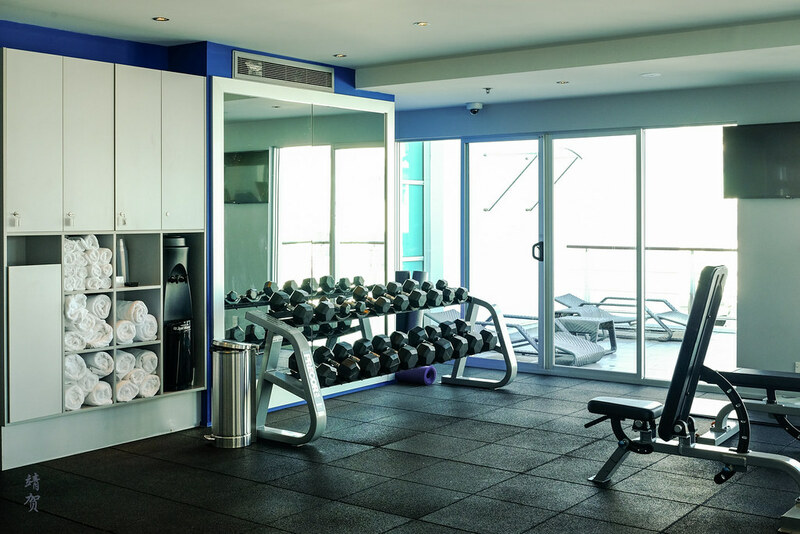 The pool was open from 6am to 10pm while the fitness centre can be accessed 24 hours with the room key card. There are no attendants here so guests use the facilities at their own risk. 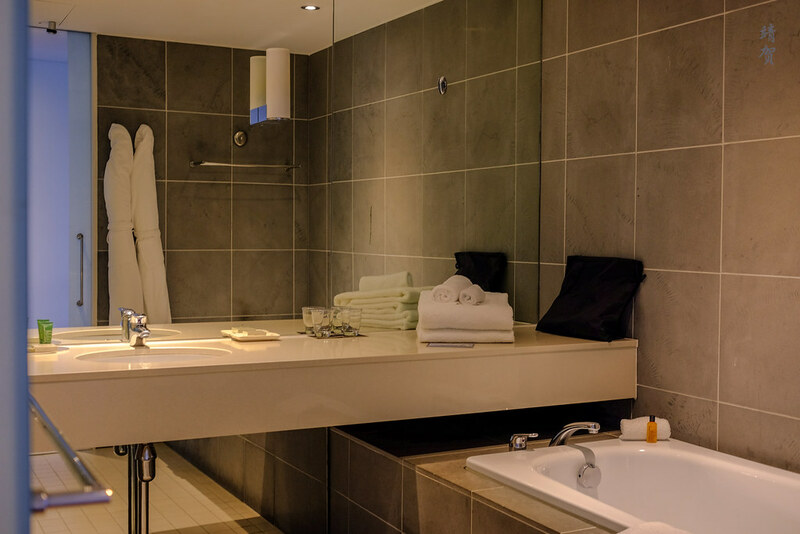 There are however a couple of shower rooms in the fitness centre that guests could use after working out or from a swim. 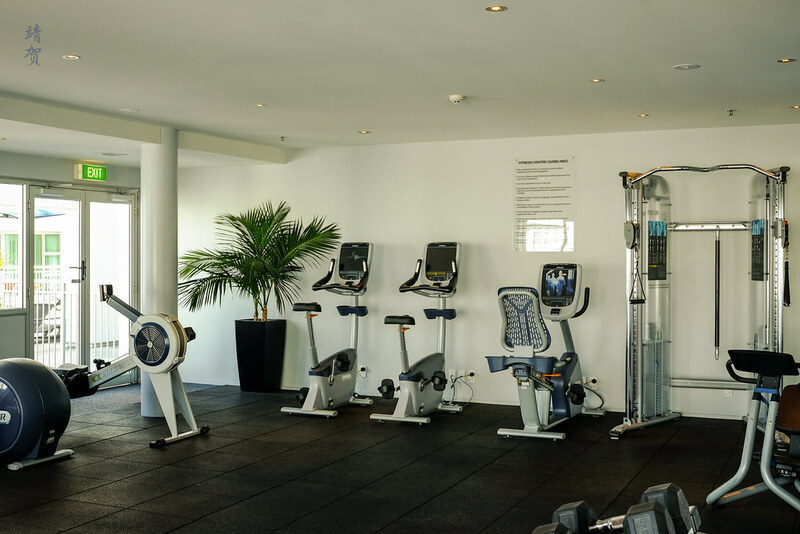 The fitness centre is average at best and does not have the most modern equipments. Neither is is very large but it does receive natural light in the day since it overlooks the outdoor terrace and pool. As for the pool, it is a lap pool indeed since it is best used for one person doing laps. During the winter time there was no one taking a dip but there are plenty of deck chairs around for lazing under the sun. On the whole this was a nice hotel for a city stay due to its great location for sightseeing or even for those working in the city. 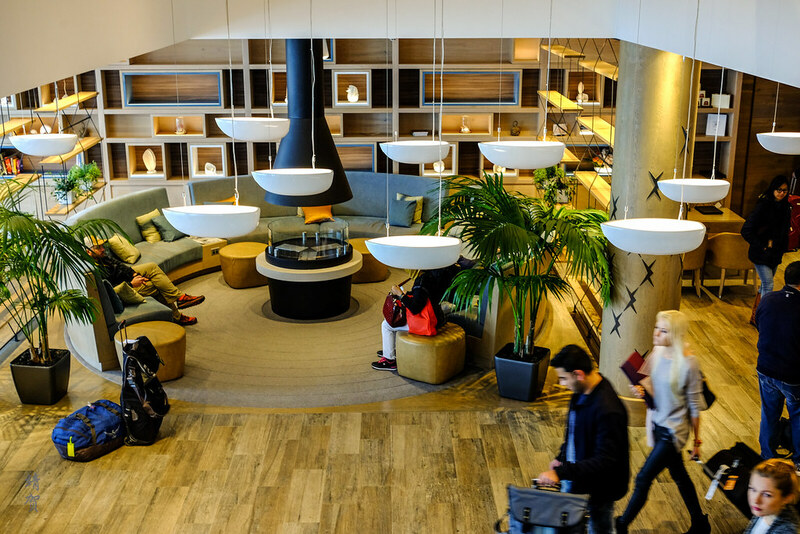 The dining and bar area in the hotel are nice space to hang out in the day and cozy enough by night that guests could easily have their meals inside and not feel the need to step out at night. The room rate in this hotel was on the upper end of the scale in Auckland as it was around NZ$260 per night (~$190). However as I was on a Hilton Diamond Status Challenge, this would count towards my stay, thus I decided to stay here. While there was no problems with my stay, the value here is not that great especially if guests spend most of their day sightseeing. 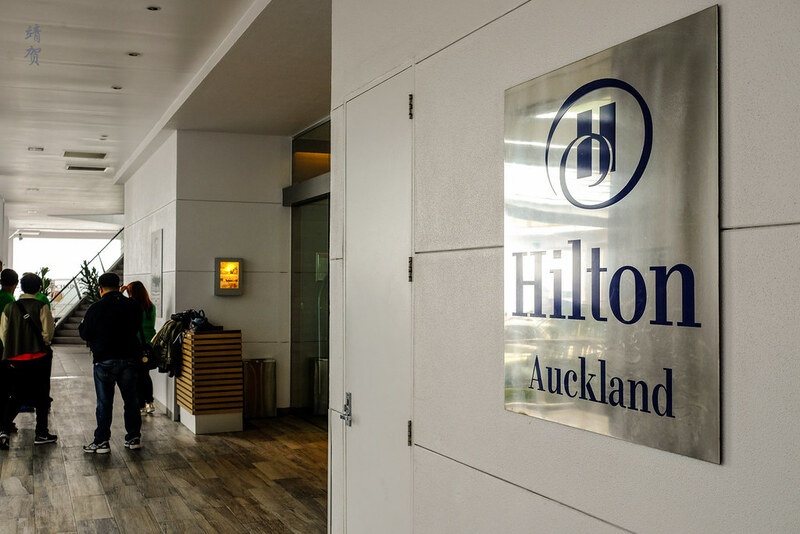 But for guests who are planning to spend some time in the hotel and just around downtown Auckland, this is definitely one of the better hotels to stay while in the city.